Century Cycles Blog: 2014 Ohio Bicycle Events Calendar has arrived! 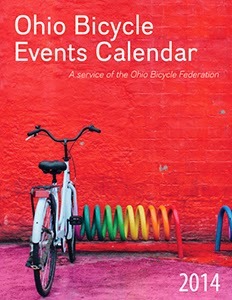 The 2014 Ohio Bicycle Events Calendar has been printed, and they are now available in all three Century Cycles stores. This FREE publication is produced by the Ohio Bicycle Federation, and is a comprehensive list of all of the bike tours and races happening this year throughout the state.